Many current and former NFL players will be in the commercial, too. Popular streamer Tyler “Ninja” Blevins will be featured in a commercial during one of the biggest sporting events of the year. Super Bowl LIII featuring the New England Patriots and Los Angeles Rams will start at 5:30pm CT on Sunday, Feb. 3. And Ninja will be a part of an NFL commercial set to air before the halftime show. Ninja shared a brief clip of the commercial today on Twitter, where he appears to be a waiter. He’s seen talking to Pittsburgh Steelers Pro Bowl wide receiver JuJu Smith-Schuster—who was also a part of Ninja’s record-setting Fortnite stream with rapper Drake and other celebrities. The NFL has been sharing many other funny clips from the Super Bowl commercial using #NFL100 on Twitter. 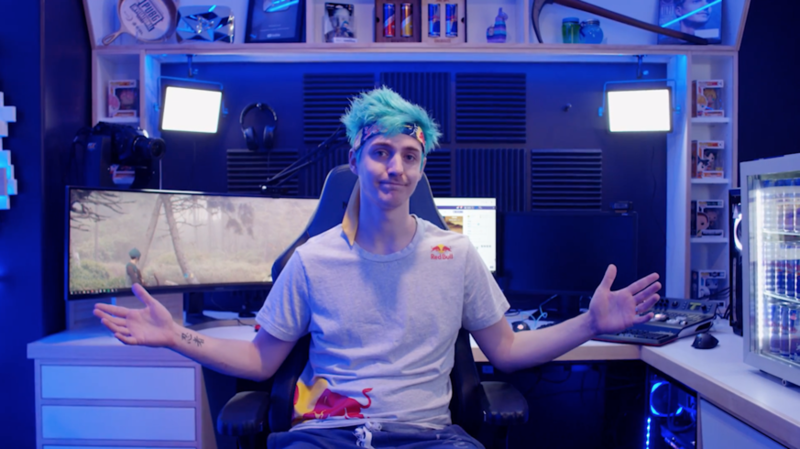 Although Ninja has already shared his appearance in the NFL commercial, he could be in another scene—so fans of the popular streamer will want to tune in to Super Bowl LIII this Sunday to see Ninja in action.